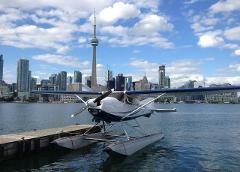 Charter one of our aircraft to fly you to or from the cottage, your resort, or anywhere you desire. Enjoy the luxury of a private one hour float plane charter flight from Toronto’s downtown Island Airport to the greater Parry Sound area. Enjoy the luxury of a private one hour float plane charter flight from Fisherman’s Pier in Hamilton Harbour (located under the Burlington Skyway) to the greater Parry Sound area.